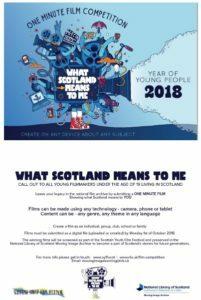 Competition open to young filmmakers under the age of 19. Send in your one minute film made using any device – phone, tablet, camera. For more details, see the poster.